No swim. It's just too damned cold in the mornings nowadays with the weather in the low 20's. And there's a wind chill factor as well. Last Friday, Dec 16, was our department's Christmas party err... Christmas dinner. It was held at East 19 place in Sucat. It coincided with Irene's office swimming party at Villa Emma, Pansol. Since I needed to fetch Irene from the Pansol overnight party, I had to forgo my department's Christmas party err... Dota party. The Villa Emma Resort wasn't that hard to find - thnx to a tour guide on bike. I was surprised that at the time I got there at 10:40pm (I left house at 10pm), it was only Irene swimming. The rest were eating. The pool wasn't big but it certainly had a deep end where the level was 6 feet. I put in an hour's swim and it was good. There was so much home-cooked food but the one I liked most was the hot, steaming sopas. The following day, Dec 17, was our wedding anniv. We all went to Traveller's roadside at Sta. Rosa for a sumptuous (read: evil!) lunch of sizzling squid, sizzling liempo, sinigang na blue marlin sa miso, kare-kare and lechon kawali. Thereafter we went to Paseo and I'm glad we did. Sandra and Che got new bathing suits at 50% and 70% off from Speedo! Yes, Speedo, the brand that doesn't go on sale! 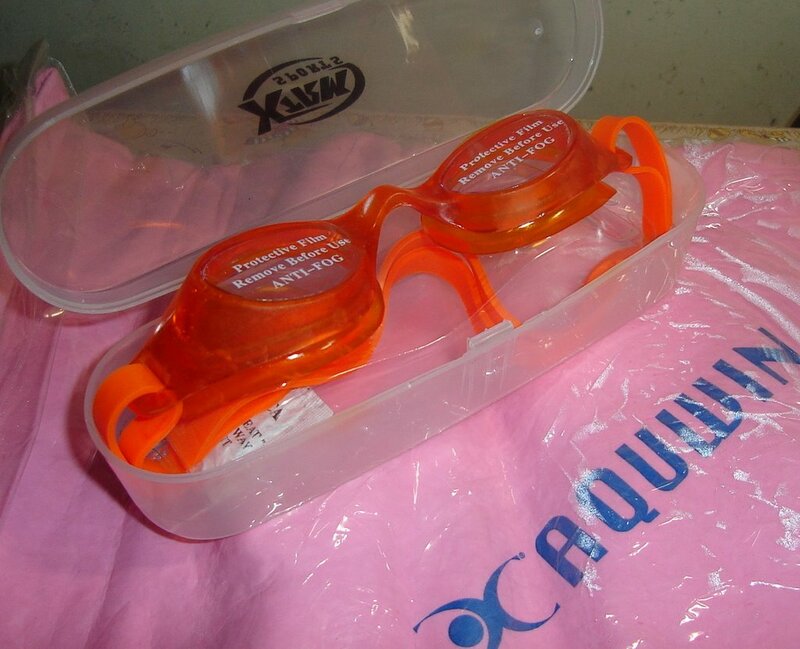 Me, I bought a pair of Xtrim goggles (P275) for Che and a new Aquwin Sports Towel (P550) for me at another sports shop. There was heavy traffic on the way back especially approaching the tollgate. Yikes, it IS too cold for swimming! Well, it IS strange that we're getting this kind of weather (cold and rainy) now. Normally, it's just cool mornings.